North Shore Land Alliance, in partnership with Nassau County and the Long Island Community Foundation, is in the process of establishing a community garden in Roosevelt. The garden will be on a 10,000-square foot property owned by the County. The Land Alliance began working with the County and members of the Roosevelt community over the winter to build community support and engagement and gather input from residents. With proceeds from a generous grant from the Long Island Community Foundation, the Land Alliance hired a landscape architect with experience in community garden design to render several garden concepts that we then shared with the community. With an agreed upon garden design now complete, Nassau County has begun clearing the site and ordering materials. We will begin building and installing garden beds in June with help from community residents and other volunteers. This project is a great example of how vacant lots in densely populated areas can be used to promote green space and food security. Moreover, a community garden project like this one has the potential to empower communities by helping educate residents about how to grow their own food and eat more healthily. Community gardens create connections between and among residents and local civic organizations. They also present local job opportunities and teach community members specific skill sets such as carpentry and agriculture. And when they are successful and abundant, they provide community members with the opportunity to give back by donating food to residents in need and local food pantries. Equally important, this project will limit future residential development and promote sustainable gardening practices that will help protect the natural environment and our groundwater. 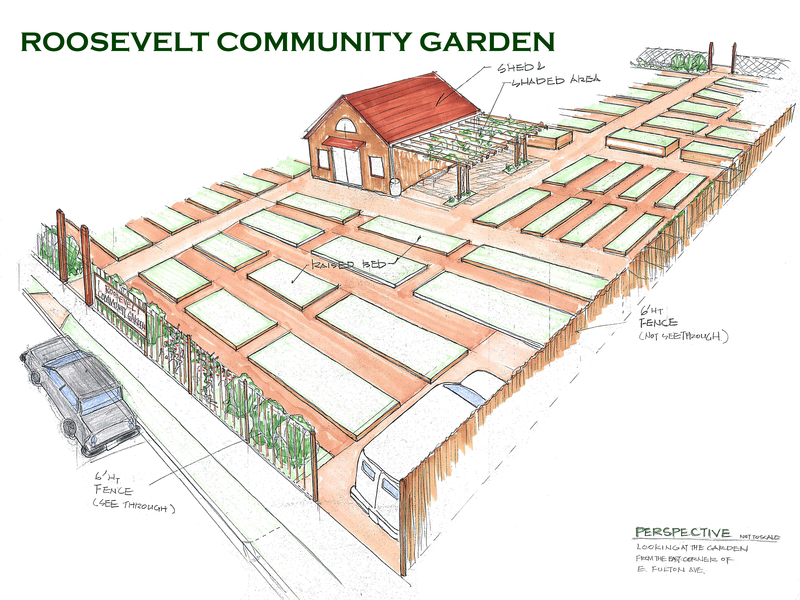 The Land Alliance is very pleased to be spearheading this project and look forward to working with our partners to create a community garden that is an important resource to the residents of Roosevelt. A project such as this has the potential to be replicated in other areas of need throughout Nassau County (hopefully, on other vacant lots owned by the County). For more information about the Roosevelt Community Garden, please contact Andrea Millwood at 516-922-1028 or email andrea@northshorelandalliance.org. Click here to read this article in the North Shore Land Alliance 2017 Spring/Summer Conservation News newletter.